There are few things that move me to tears on a regular basis, but worship is definitely one of them. I love to come together with other believers and offer the Lord my praise and worship with hands held high, singing with all my might. When I think about God’s faithful love toward me, grateful tears automatically spring up inside me. But there have also been times in my life when the tears have come from a place of pain. I can distinctly remember standing in a worship service just months after my younger brother had died in a tragic car accident with my hands hiding my face as I uncontrollably sobbed into them. The sanctuary was filled with beautiful voices singing “It Is Well with My Soul,” and I could not physically open my mouth to sing in that moment. I wondered if I would ever feel like praising again. But as a faithful Savior so sweetly does, He wrapped His arms around me and began to heal my broken heart. Week by week I kept returning to worship and before long I was able to sing a little bit more, yet still with hot tears flowing down my cheeks. 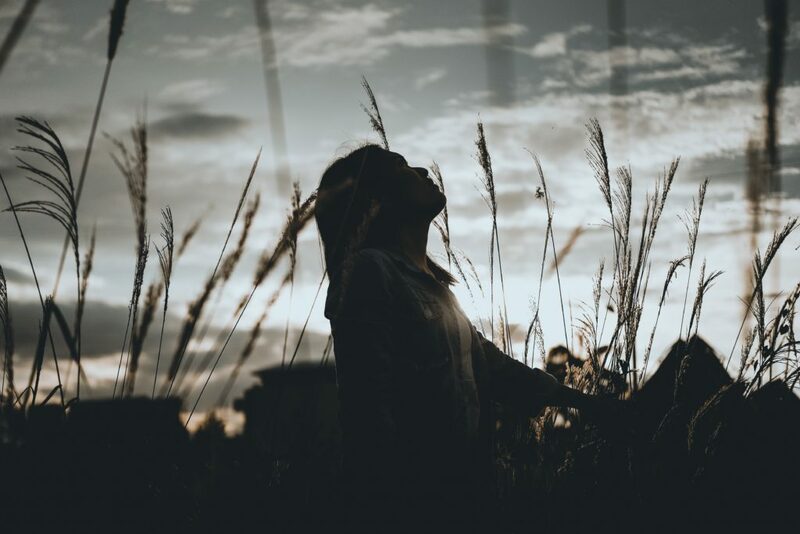 As the weeks turned into months, my desire to praise my Creator had returned and even though I was still grieving, I knew that my hope would always be in Him. Life can be cruel sometimes. It threatens to leave us in a great state of turmoil and utterly depressed, believing that we’ll never be able to sing praise again. But if we allow ourselves to grieve properly and hold fast to our Savior, before long we’ll find that we are able to praise Him even through the pain. It has been over fifteen years since I lost my brother and I can tell you that I am once again exuberantly worshiping my God. The tears still fall from time to time, but they’re mostly due to my gratitude for all that He’s done for me. I will forever put my hope in the One who saved me, my faithful God. Thank you so much for this today. I needed to hear these words and feel His presence in them. Donna, I am so glad that you could feel Him near to you today. Much love!